This was part of a project called Urban Future, Human Future that evolved from a series of discussions between Mike Mayhew (artist), Stefan White (architect and academic), Jenny Savage (artist), Steve Potter (psychologist and academic) and URBED's David Rudlin. The discussions took place under the umbrella of the wider 12.12.12 Humanity project that was facilitated by Mike Mayhew and included a series of activities across Manchester on 12th December 2012. Urban Future, Human Future explored the way we respond to each other as humans and how we live together in cities. Both Jenny and Steve ran projects involving a series of conversations that they interpreted through mapping people’s reactions to, and relationship with Manchester. At the same time students from the Manchester School of Architecture were running sixteen events with people across Manchester exploring changes that they might make to the city. These strands were woven together into a model of the city made of plasticine (in fact it was built out of Newplast, which is what we all think of as plasticine even if the lovely people at New Clay Products, who sponsored the event, no longer own the trade mark). The first 6 hours, 10am - 4pm was spent building a model of the city today out of grey newplast than the second 6 hours fed the results of the conversation into a process by which the map was changed and evolved to create a possible future (using red newplast). Stop-motion photography throughout the day captured the changing model creating a film of the city’s growth into what it is today and its transformation into a possible future. 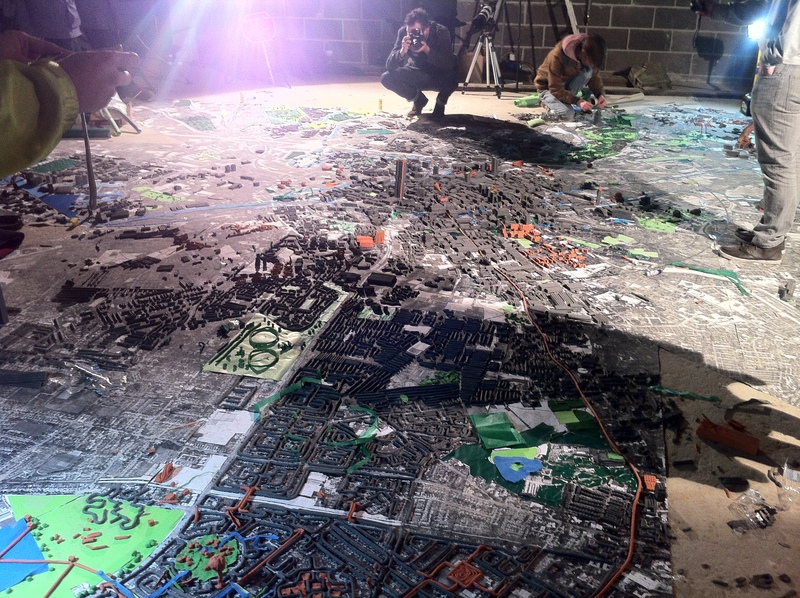 The task of building, let alone rebuilding the whole of Manchester in plasticine in 12 hours was always going to be a challenge even with the help of more than 40 architecture students from Manchester School of Architecture. 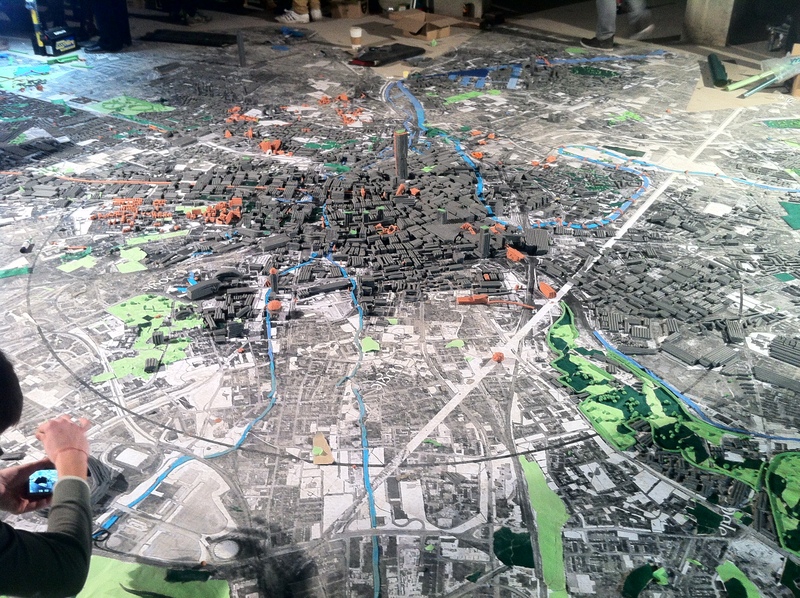 However we did build a huge model and the process did reveal some truths about how cities are built through collaborative action and how futile it is to pretend that any one person can control the process. Wasn't Built in a Day - 12 - 12 - 12 from PeopleStaring on Vimeo.